South Hillsboro is a planned community endorsing a "complete, connected, green" approach to suburban living. Standing next to the Aloha Intel Campus on TV Highway, the previously undeveloped land is in the process of adding residential and commercial uses by fulfilling the needs of the residents locally. New schools, shopping centers, and recreation space will be interspersed and easily accessible within the development. Two new centers will be added using mixed use buildings; the larger one a "Town Center" at the intersection of TV Highway and Cornelius Pass, and another "Village Center" central to the development itself. The mixed-use development is anticipated to allow for great connectivity and walkability in specific areas of the development, and the spaces facing rural Hillsboro are respectfully planned for low-density housing for seamless development that still takes advantage of what South Hillsboro has to offer. 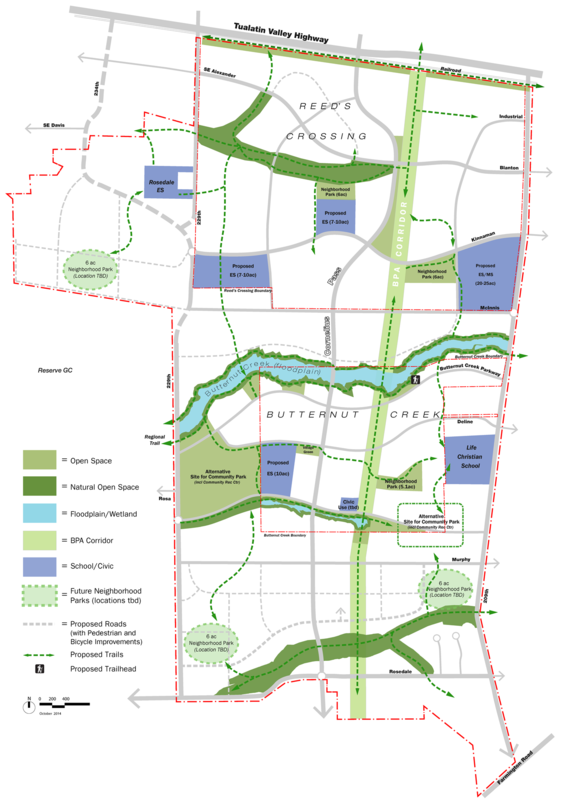 Parks and greenspace are vital to the South Hillsboro plan, intended to create pedestrian pathways throughout the development. One fifth of the area will be made into this walkable network of greenspace, over 333 acres. A large community park will also include a recreation center near the village center at the heart of South Hillsboro. 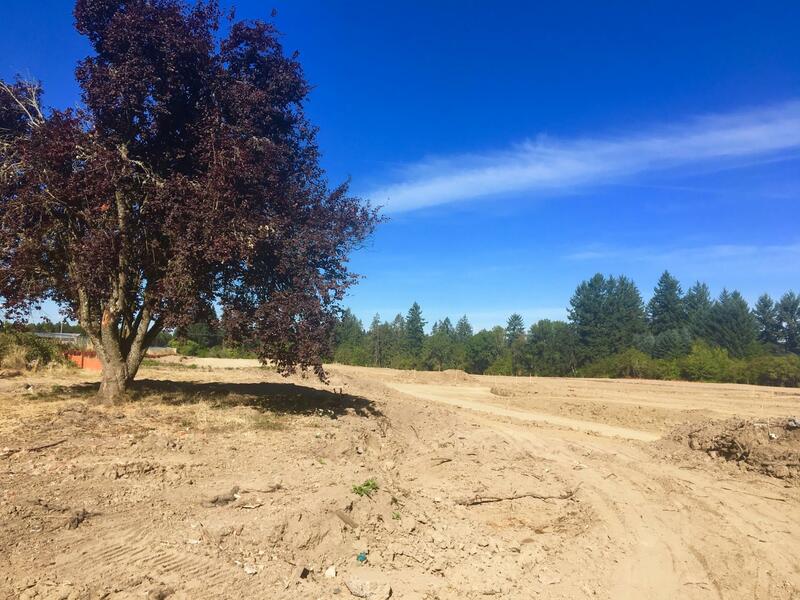 Trails along the greenspace will make for ample opportunity to spend time outdoors and exploring the community, including a linear powerline park (the BPA Corridor) running parallel to Cornelius Pass thoughout South Hillsboro. Nestled within those parks, four elementary schools and one middle school are planned to accompany the existing Rosedale Elementary and Life Christian schools. The density of schools furthers the commitment towards close-in and connected living, meaning families have nearly every need fulfilled in the neighborhood. For a higher-definition map of the parks and schools map for South Hillsboro, as well as a number of other documents, follow this link to the South Hillsboro Documents and Maps page. The area is well-served by grocery stores and Regal Cinema's Movies on TV. The land was bought before the recession around 2008. It went undeveloped for decades, allowing for substantial master planning. Mixed-use zoning and connected living mimics the successful Orenco Station, also in Hillsboro. Pedestrians and cyclists will be able to go as far as the Home Depot on Minter Bridge without seeing traffic from roads like TV Highway. One of the three new communities is Reed's Crossing, named after Simeon Gannett Reed who owned the farmland before development. He is also the namesake for Reedville and Reed College. Cornelius Pass Rd will be extended to serve the community at lower vehicle speeds and greater pedestrian access.